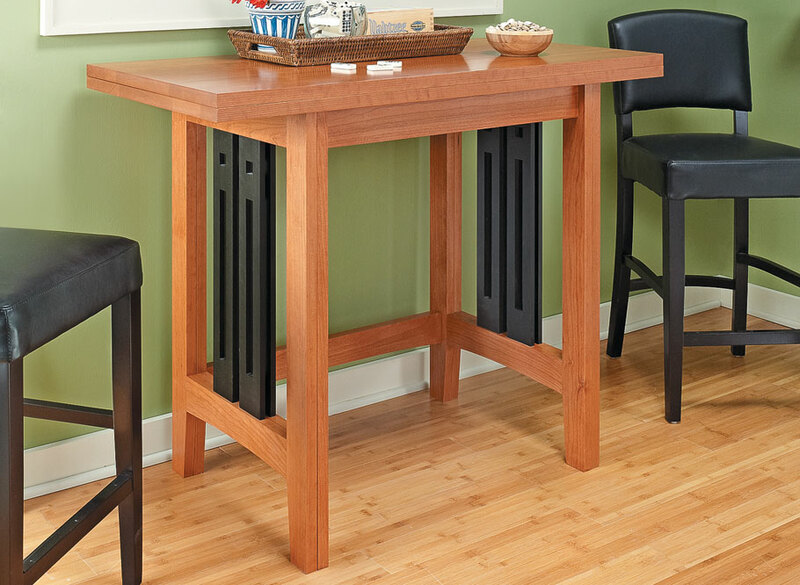 A folding table is a versatile way to make the most of limited space in a kitchen or dining room. It can double as a work table in the kitchen or a handy place to grab a snack. 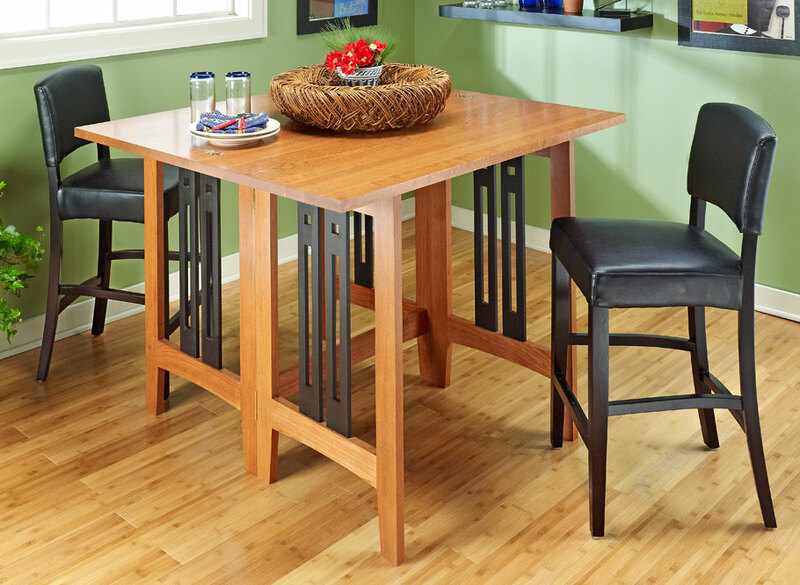 When it’s time for dinner or company, this counter-height table folds out to create extra room for family and friends. 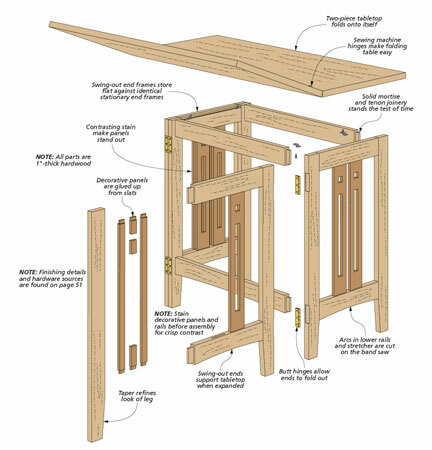 The decorative panels in the end frames complement the Craftsman-style design. We took the difficulty out of creating the openings in the panels by making them three-piece glueups. The table's ability to double in size is accomplished by a pair of hinged-end frames that swing out to support the hinged top. 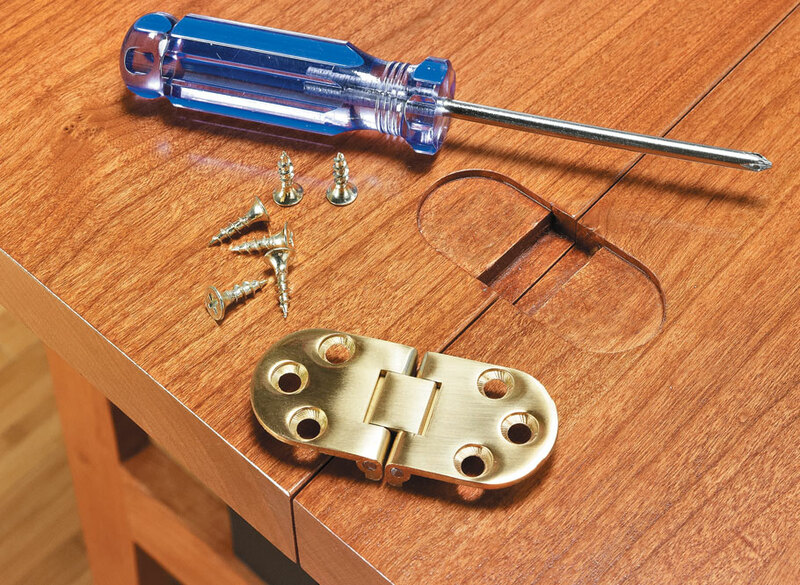 When the table is folded, the end frames store flat against the table base. It’s like getting two tables in one. 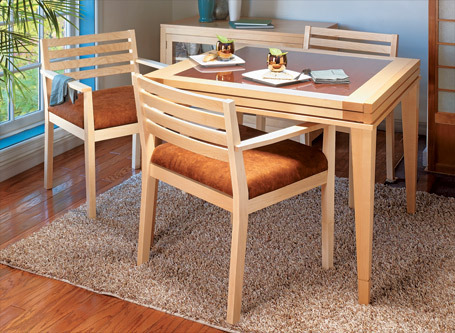 This stylish design doesn’t take up much floorspace, but it slides open to provide seating for six. 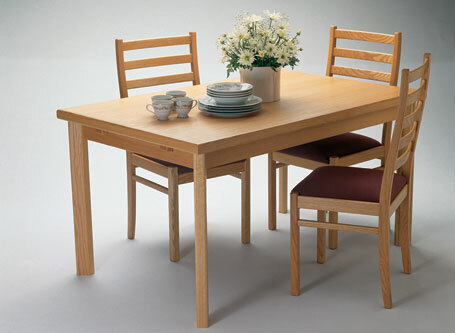 Clean and understated, this full-size oak dining table looks simple at first glance. 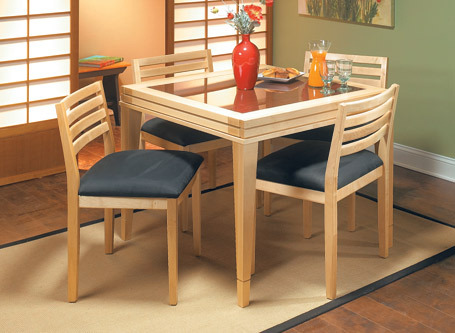 But what you don’t see are the special pull-out extension leaves hidden underneath the table top.